How did we manage before clog sandals? 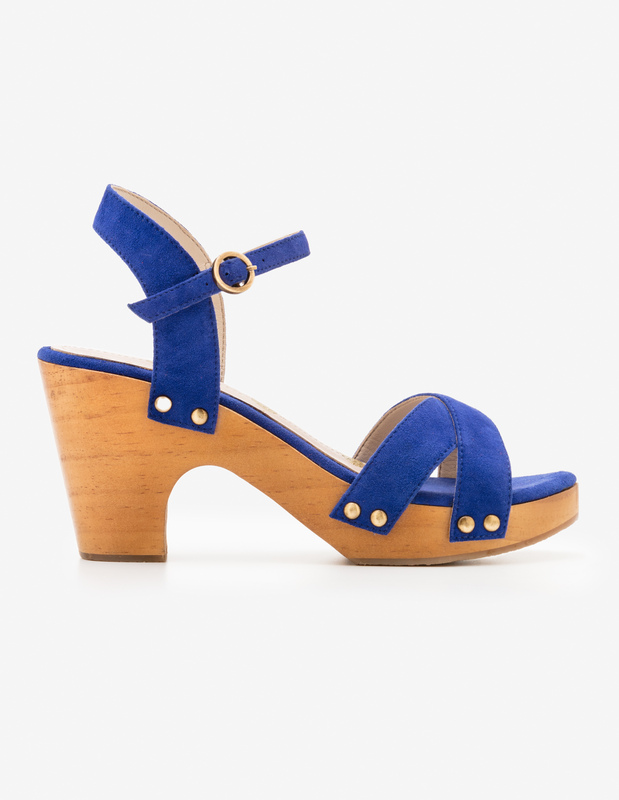 I honestly don’t know how I got through summer previous to clog sandals entering my life: they’re just so good from a comfort and walkability perspective (I’m not certain why, as wooden soles aren’t that foot-friendly, but there you have it) and plus, they’re super-cute. 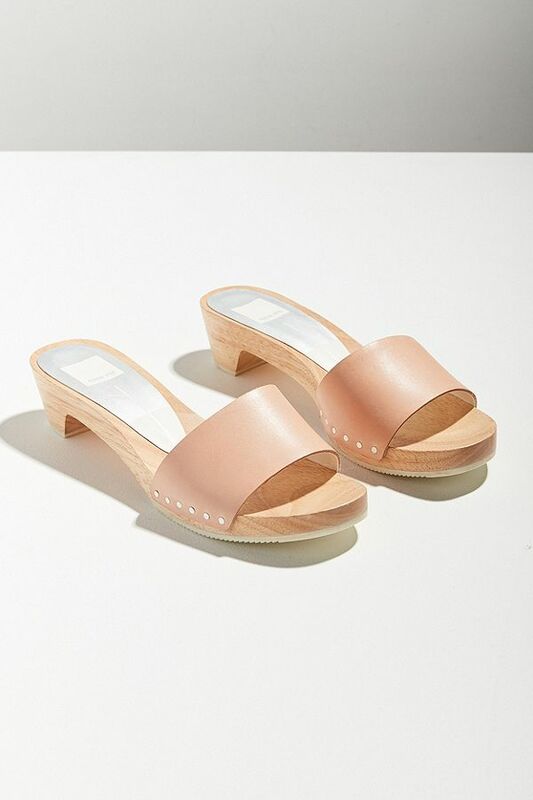 I feel as though I very much need this Madewell pair, as I want a pair of white sandals and I like that these aren’t a glaring optic white. Just an easy, casual pair of slides. I couldn’t resist including this borderline loud yellow pair. From No. 6: The rose gold metallic here makes these standout. Also, metallic tones totally work as a neutral, so you can wear them with literally everything. This braided pair would be perfect with a Mexican embroidered dress. A peep-toe number in a very good red. I like that these have studs instead of staples. The stripey business here is fun. This crisscross pair is pretty classic, but the color makes it interesting. This blue specimen is very work-to-weekend. 23 Thoughts on How did we manage before clog sandals? I love this selection, have you also checked out Maguba? They have so many styles in pretty colors. Have you heard of Bryr clogs? They’re out in SF. All handmade in their studio. The color palates are gorgeous and they change seasonally. Price the point is also high but at least once a year they have a half off sale. I have had a pair for over a year and can confirm that they are as beautiful in person as online. They are also light, comfortable, and well made. I get compliments on them all the time. How soft is the leather? I find some clog leather is so stiff, it causes blisters. Thanks! They pair I own is a dyed burgundy leather and was reasonably soft upon arrival and has softened quite a bit since then. They mention on the site that the natural, un-dyed leather is stiff and will take longer to soften. Hope that helps! You probably won’t see this, Carolyn, but thank you so much for this link! I just ordered two (2) pairs (!!!) – the colors are so great and so wearable, without being trendy. And I LOVE that the leather is American and that they’re made to order in-house. Still adore my No. 6’s, but there’s room in my clog lovin’ heart for both! Have a heart from me!! You probably won’t see this, Carolyn, but thank you so much for this link! I just ordered two (2) pairs (!!!) - the colors are so great and so wearable, without being trendy. And I LOVE that the leather is American and that they’re made to order in-house. Still adore my No. 6’s, but there’s room in my clog lovin’ heart for both! Have a heart from me!! Oy and Egad. You are a temptress, Kim!!!!! A temptress!!! Today's mantra is: "do not need, do not need, do not need" Want: White, rose gold, pink "do not need, do not need, do not need" Oy and Egad. You are a temptress, Kim!!!!! A temptress!!! These are great…do not need!!! Yah!!! These are great...do not need!!! Kim, I know you love them but I worry about the wooden soles. Are they really comfortable to walk in all day? I’d totally spring for a pair but I worry about the hard wooden soles. Kim, I know you love them but I worry about the wooden soles. Are they really comfortable to walk in all day? I'd totally spring for a pair but I worry about the hard wooden soles. I’ve been wearing wooden soled clogs for decades and never had an issue with comfort. I don’t know if they would be my shoe-of-choice if I were, say, a mail delivery person, or hiking in the Grand Canyon, but for the office or hanging out on the weekend or going shopping I have found them to be perfect. I've been wearing wooden soled clogs for decades and never had an issue with comfort. 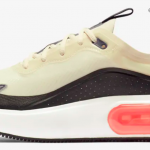 I don't know if they would be my shoe-of-choice if I were, say, a mail delivery person, or hiking in the Grand Canyon, but for the office or hanging out on the weekend or going shopping I have found them to be perfect. Mary Alice, I taught elementary school in a building with tile-on-concrete floors for 20+ years. My go-to shoes were Hanna Andersson wooden clogs. I did a LOT of walking–well over 10,000 steps–and on days I wore my clogs, my feet did not hurt at the end of the day. I usually wear thick socks (or two pairs of thinner ones) because I have a pretty flat instep and need the bulk to “fill up” the inside of the clog. Having a snug fit makes it easier to walk in clogs, so you don’t need to grip with your toes to keep them on. At one point I developed killer plantar fasciitis from wearing flip flops and squishy foam slides. I got over it by wearing my clogs for about 3 weeks straight. In the summer. Part of the time in North Myrtle Beach. 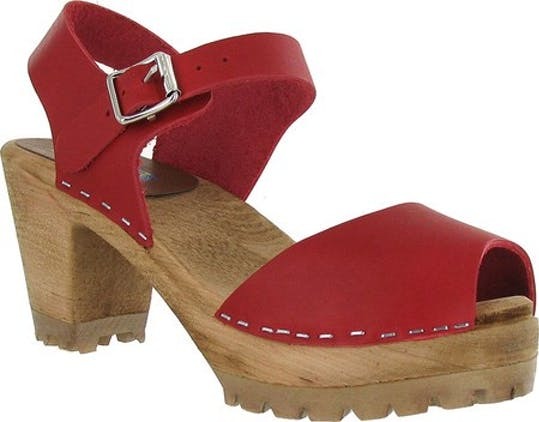 Red leather classic clogs with thick wool socks! (Red shoes go with everything, right?). I literally stuck my feet in them before I took even one step in the morning. It’s happened. We’ve become our grandmas! I can only wish! My grandma looked way better than me actually – and she went gray early. She was just naturally elegant somehow. It did not pass down to me alas. Also, it may have helped, people dressed better then. In fact … I tried on those Madewells Friday at the Americana. They felt pretty good on – I was pleasantly surprised. Only reason I didn’t bite is, I am not sure about how they slope upwards under the big toe. I get that that is probably a good thing on the whole … may prevent some face plants … only I have a hinky toe on one side, and sometimes that hurts. I think though that I will soon be getting in on this clog business. They really are very cute shoes. I can only wish! My grandma looked way better than me actually - and she went gray early. She was just naturally elegant somehow. It did not pass down to me alas. Also, it may have helped, people dressed better then. Within the context of me, I am not giving up. I am actually shopping these days. I consider it a chore, but, necessary. (And I wish someone had told me about compression socks a lot earlier ...) In fact ... I tried on those Madewells Friday at the Americana. They felt pretty good on - I was pleasantly surprised. Only reason I didn’t bite is, I am not sure about how they slope upwards under the big toe. I get that that is probably a good thing on the whole ... may prevent some face plants ... only I have a hinky toe on one side, and sometimes that hurts. 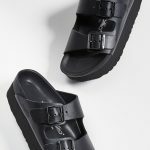 I think though that I will soon be getting in on this clog business. They really are very cute shoes. I used to work within walking distance of that Madewell. It was like death to my paycheck lol. Well, we must have just missed each other because I was at Americana Friday….! I bought those clogs online from Madewell but, alas, they must go back. Far too wide, my feet rattle around in them. SO CUTE, though. Well, we must have just missed each other because I was at Americana Friday....! I bought those clogs online from Madewell but, alas, they must go back. Far too wide, my feet rattle around in them. SO CUTE, though. Side note: I received my elastic waist chinos from Everlane today and they’re are going back. Well made, nice material, but a little too…uh…loose for my body type. Also the length of the legs hit me perfectly and I’m 5’2 so if you are tall these pants will be cropped. I would return them for a smaller size, but they are already sold out in all the colors I wanted!!! Thank you for leaving these reviews!